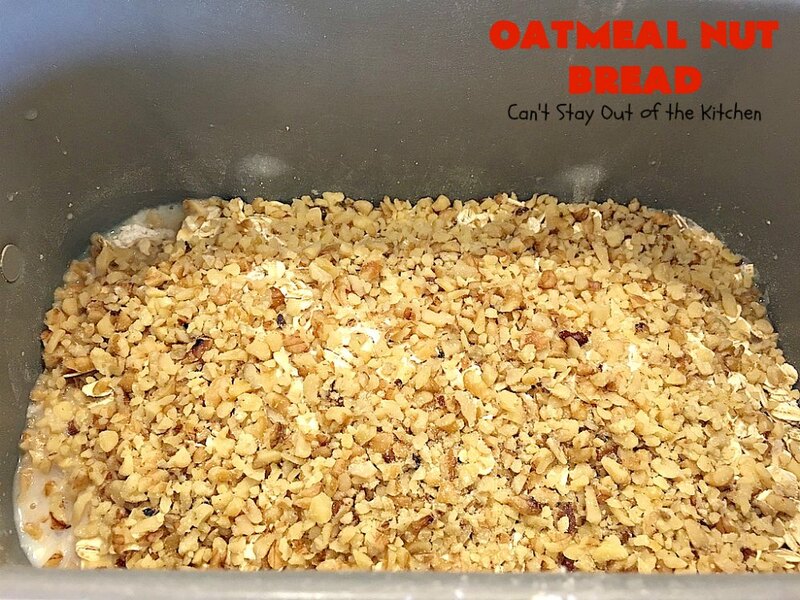 I love the taste of this homemade Oatmeal Nut Bread. 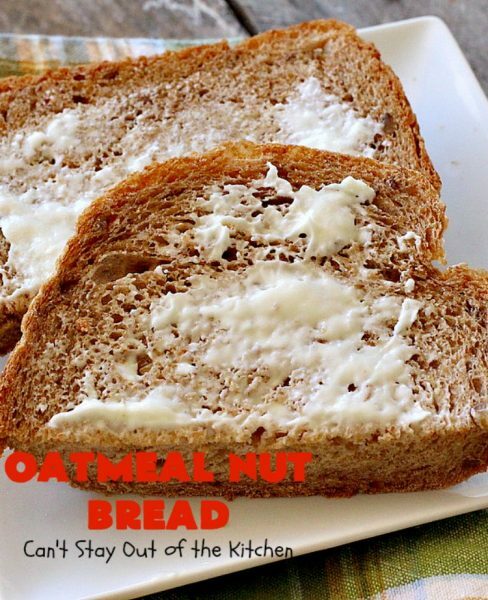 It’s a dense, rich, hearty bread with oatmeal and walnuts. 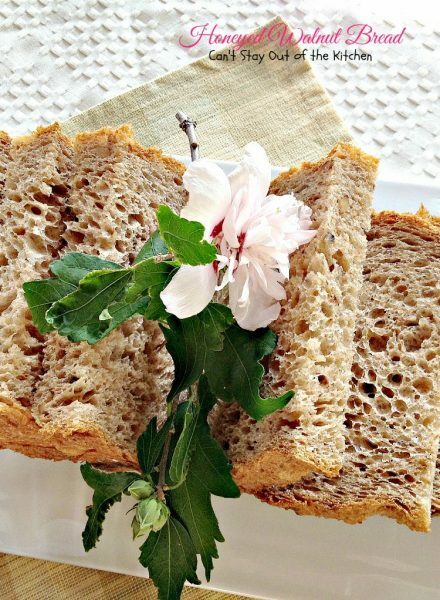 It’s great as a dinner bread with just butter, but I also love to serve this bread with apple or peach butter. 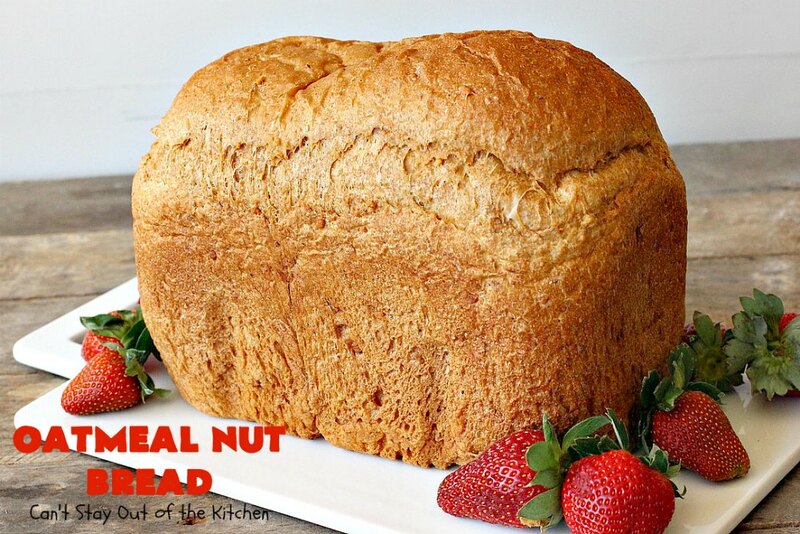 It’s one of my favorites out of the Black and Decker breadmaker cookbook. 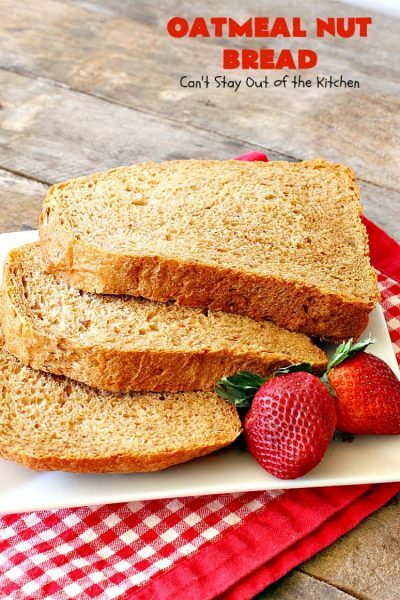 Anytime I can make up a delicious fuss-free bread with 5 minutes preparation time, that’s a win-win for me! 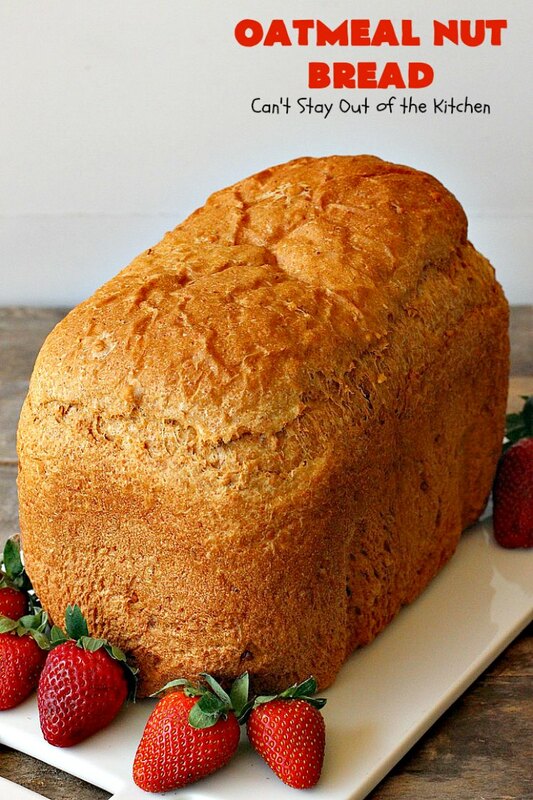 Our family has always loved a good loaf of homemade bread since I grew up with nothing but homemade bread for years. I still prefer homemade bread over anything made in most stores even artisan breads. I could live on homemade bread and jam or apple butter! No kidding. This is a fabulous tasting bread. However, unlike all the other Black and Decker recipes, I’ve had to work diligently with this one to get it to work. Because whole wheat makes bread so dense I’ve had to add vital wheat gluten to get it to raise properly. That has made all the difference. 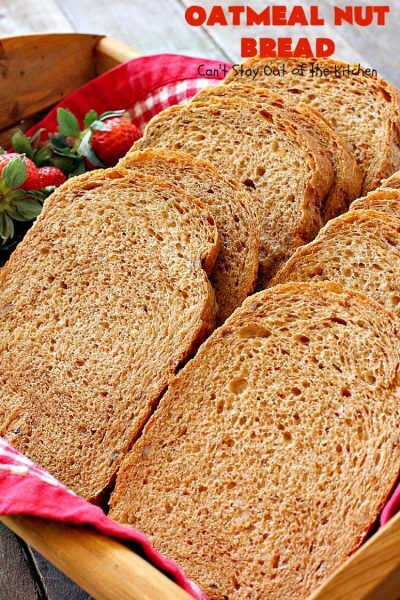 Adding 4 teaspoonfuls of vital wheat gluten to each loaf of bread allows this bread to raise properly and the texture afterwards is light and fluffy — almost like a white bread. It’s amazing what that one little ingredient can do. If you’re looking for a spectacular bread recipe, than give Oatmeal Nut Bread a try–just make sure you don’t omit the vital wheat gluten! I initially posted this recipe in April 2013. I remade the recipe about a year after that and took some new presentation pictures but never took any new ones of how the process works. Those pictures were really orangy, dingy and ugly. 🙁 I recently remade this recipe (March 2018) for our Friday night care group. I served it with Slow Cooker Onion-Mushroom Pot Roast and Baked Acorn Squash. It was terrific. No kidding. Our gang enjoys homemade bread slathered with butter, and this bread did not disappoint. Oatmeal Nut Bread is a rich, tasty bread since it is made with both honey and molasses. My preferred way of eating this bread is with butter and peach or apple butter. But I actually served this bread with a salad and Blueberry Vinaigrette. This recipe is for a 2-lb. bread loaf which cuts down into about 20 half slices like these. This is a great dinner bread but I like it served for breakfast! I used these ingredients plus hot water. The plastic bowl contains dry milk powder. Place hot water in the bread canister. 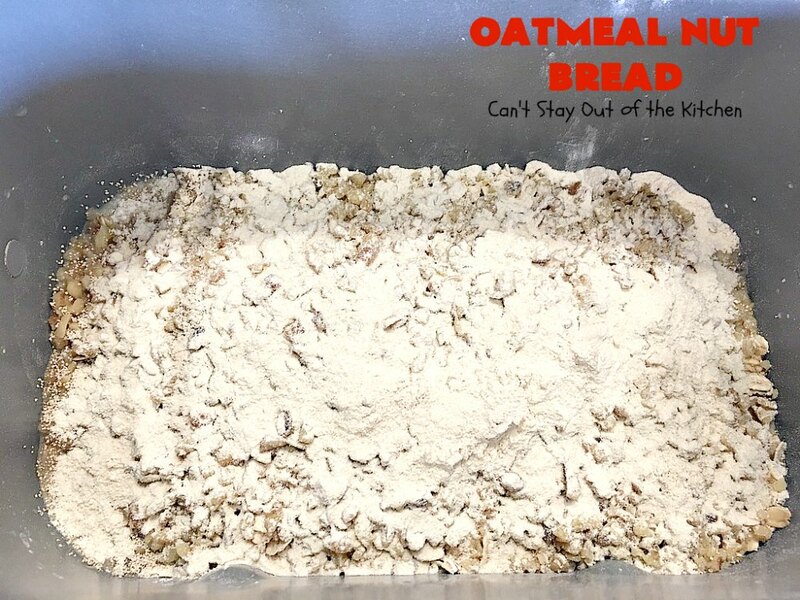 Add powdered milk, shortening, molasses, honey, salt, whole wheat flour and bread flour. I use bread flour rather than all-purpose flour. It has more gluten per molecule and will enable the grains of flour to adhere to each other better. 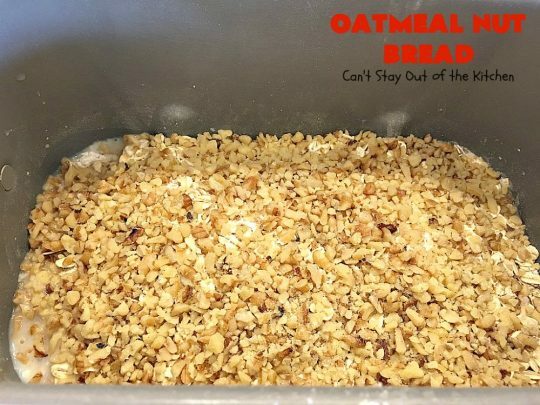 Add oatmeal and walnuts. Add yeast and vital wheat gluten. Start breadmaker cycle on a regular whole wheat setting. Mine takes about 4 hours. Allow bread to cool about 15-30 minutes before removing from canister. 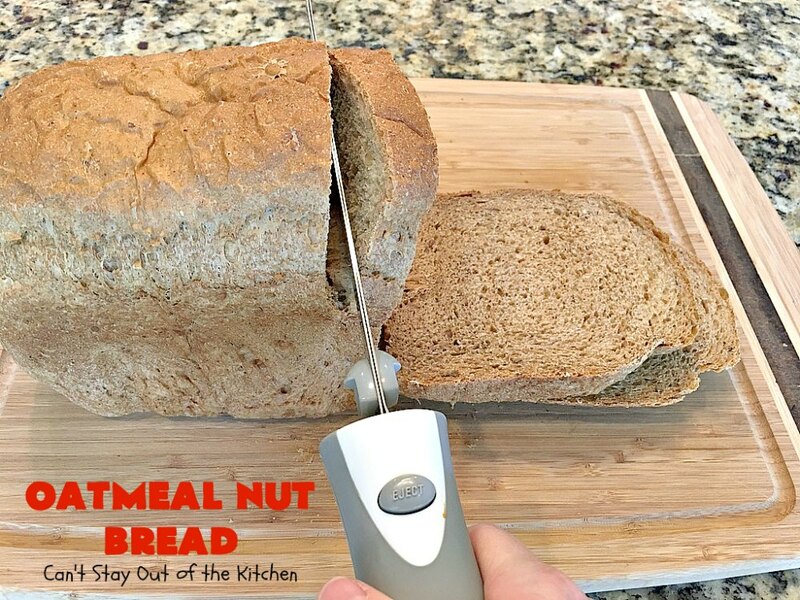 Oatmeal Nut Bread is a fantastic bread to pop in your breadmaker for holiday meals. It’s so quick and easy–not to mention delicious. 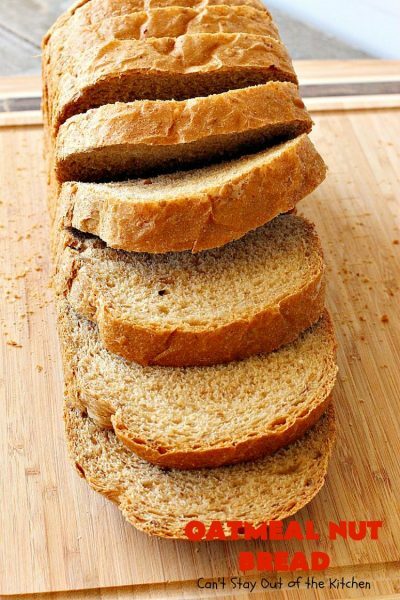 Slice bread down after cooling. Oatmeal Nut Bread is a very tasty whole wheat bread. It’s nice and fluffy due to the four teaspoons of vital wheat gluten added to the batch. Oatmeal Nut Bread is one of my favorite bread maker breads! We love this hearty bread as a side for soups and stews, too. I sliced the slices really thick for this substantial and filling bread. If you enjoy homemade bread, this is a fabulous recipe. 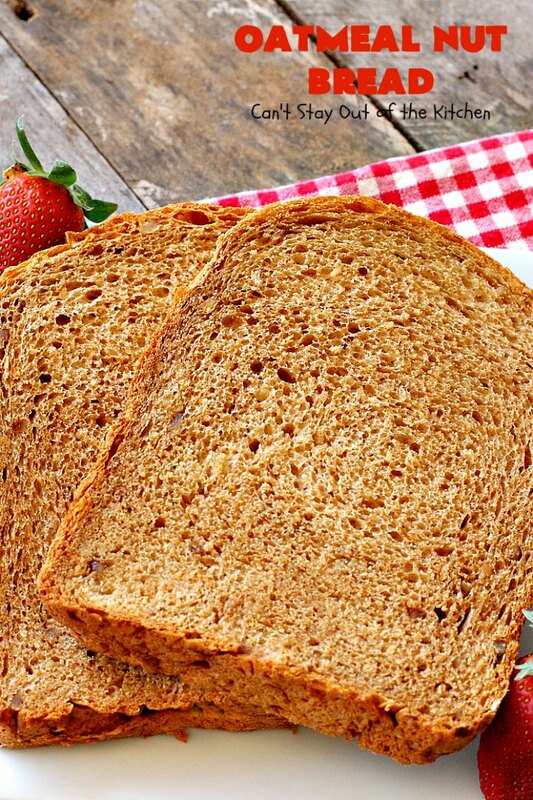 This fantastic whole wheat bread recipe is made with oatmeal and walnuts. 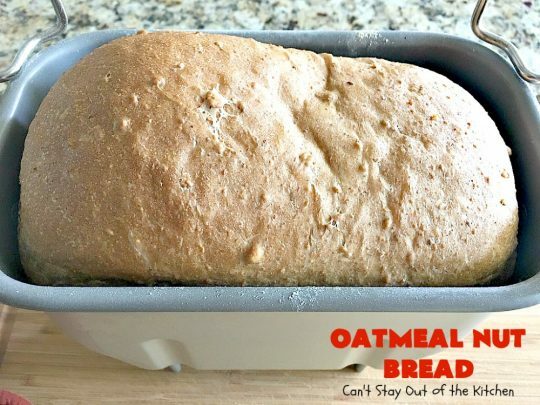 It's so quick and easy because it's made in the breadmaker. This family favorite recipe is terrific for holiday or company meals like Easter, Father's Day or Mother's Day. Layer water, milk, shortening, molasses, honey, whole wheat flour, bread flour, oatmeal, walnuts yeast and vital wheat gluten into bread canister. My breadmaker takes about 4 hours. Allow bread to cool about 10-15 minutes in canister after finished. Remove. Butter top and sides to prevent hardening of crust. Makes about 20 half slices. NOTE: This is the only Black and Decker recipe I’ve really had to alter to get to work. 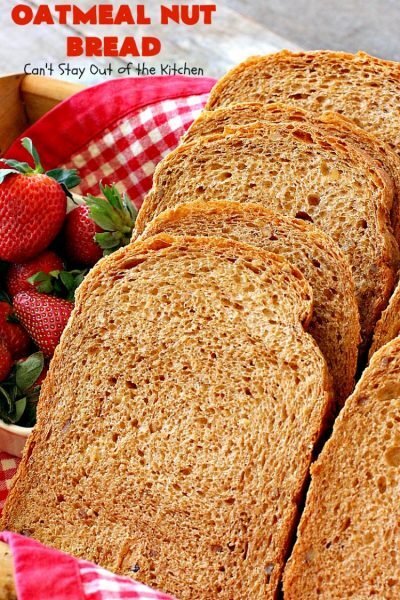 The original recipe called for the amounts of the whole wheat flour and bread flours to be reversed and omitted the vital wheat gluten. I’ve not been able to get the bread to raise well without these changes or additions. However, if you’re making this without the breadmaker certainly consider reversing the amounts of the flours to the original state. NOTE: Because this bread has no preservatives, after two days you need to refrigerate the bread to prevent mold. NOTE: Most of the time I add the walnuts to the breadmaker with the yeast and vital wheat gluten and don't wait to add them later. It's easier and doesn't harm the recipe in any way. Recipe inspired from Black and Decker. 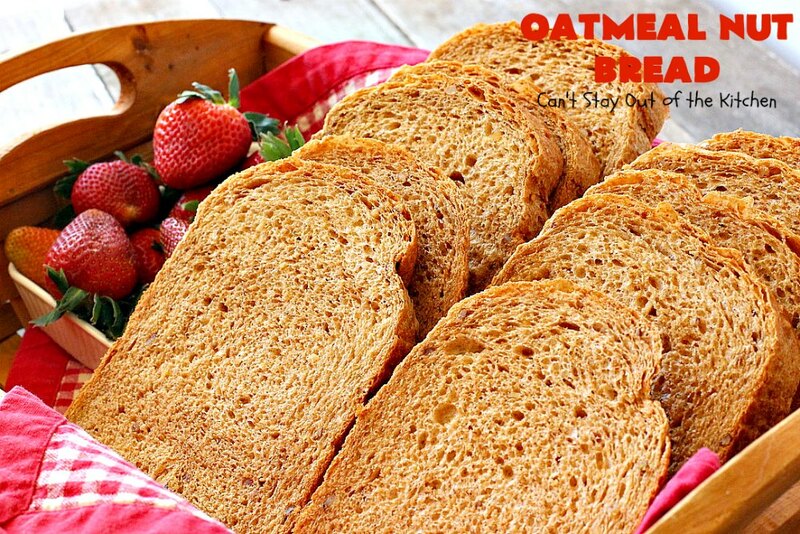 Fantastic whole wheat bread recipe with oatmeal and walnuts. Adding vital wheat gluten enables this bread to raise properly and be light and fluffy rather than dense and heavy. Layer water, milk, shortening, molasses, honey, whole wheat flour, bread flour, oatmeal, yeast and vital wheat gluten into bread canister. On my breadmaker this takes 4 hours 10 minutes. At the 25-minute signal when bread machine beeps, add walnuts. This is the only [url href=”http://www.blackanddecker.com/” target=”_blank” title=”black and decker”]Black and Decker[/url] recipe I’ve really had to alter to get to work. The original recipe called for the amounts of the whole wheat flour and bread flours to be reversed and omitted the vital wheat gluten. I’ve not been able to get the bread to raise well without these changes or additions. However, if you’re making this without the breadmaker certainly consider reversing the amounts of the flours to the original state. [br][br]Most of the time I add the walnuts to the breadmaker with the yeast and vital wheat gluten and don’t wait to add them later. It’s easier and doesn’t harm the recipe in any way. I love the taste of this bread even though I’ve fiddled with the ingredients a lot to perfect the loaf. 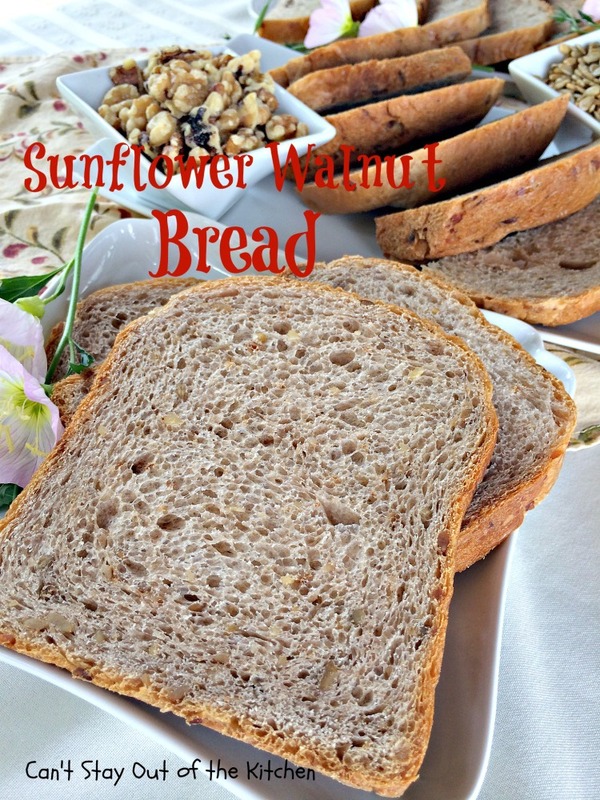 I’ve also tried Oatmeal Nut Bread with sprouted whole wheat and sprouted pastry/bread type flour. Oh, my. That was soooo delicious. Our gang loves this homemade bread slathered with sweet cream butter. Here’s another look at the texture of this great tasting bread. 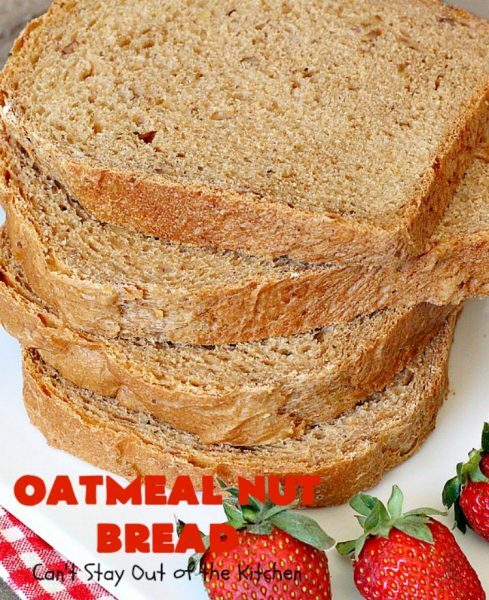 Oatmeal Nut Bread is so hearty, tasty, and satisfying. 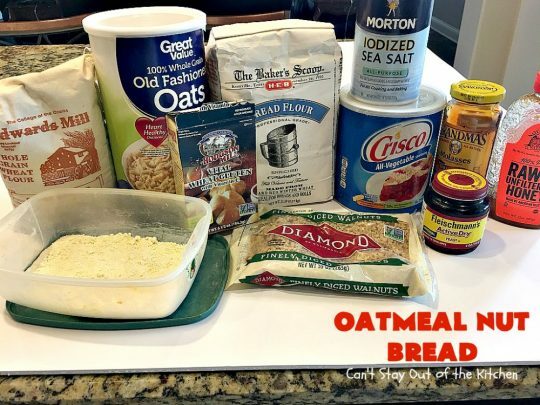 It’s really one of my favorite Black and Decker breadmaker recipes.